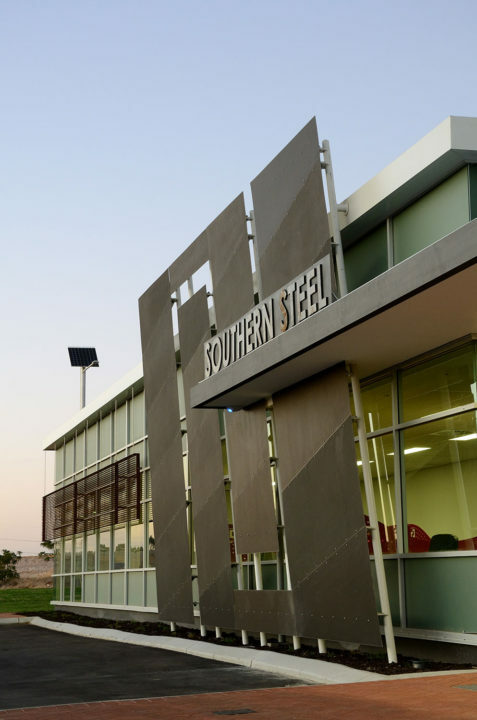 Tasked with designing a new Perth headquarters for national company Southern Steel, we created a building that reflects their strong corporate branding to prominently feature their core business – steel manufacturing. Located in LandCorp’s Latitude 32 industrial estate in Hope Valley Rockingham, the primary challenge was the integration of a tiny office building with an enormous shed. 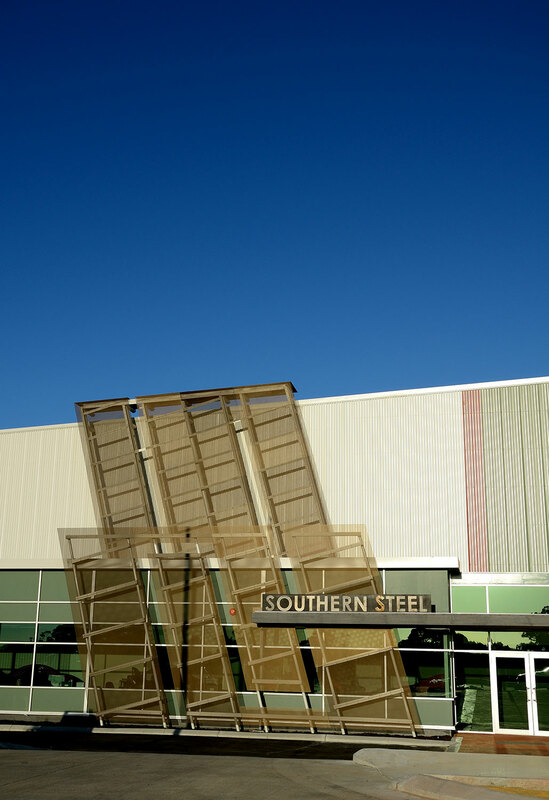 Drawing from the Southern Steel logo, perforated anodised aluminium screens create a sun screen for the offices that connects with the warehouse by wrapping over the corner like a ribbon. Responding to the corner site, the 12 metre high shed features a cut recessed corner, clad with painted panels. The same painted cladding features on the north and south ends of the office to link with the shed and allow for future expansion. Rusted steel sun screens to the staff amenities zone are replicated in the tall lattice structures which rhythmically sit along the Hoyle Road warehouse elevation. 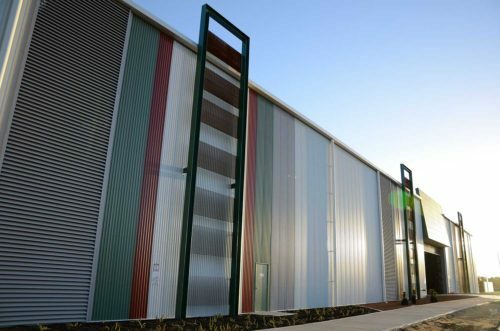 Colorbond banding, tiled entrances and vertical louvres have also been used to further articulate the 170 metre long warehouse and link the shed and office.